The innovation champions of Achema 2018 have been crowned. The eleven most innovative products have received the coveted Innovation Award out of around 100 entries. At the award ceremony, the prize winners and shortlist candidates celebrated with about 250 other guests. Pörner Group takes part at the international conference "21st annual Asia Refining Technology Conference (ARTC)". Meet and join us! Refineries are more and more interested in technologies for processing of heavy residues – the so called ‚bottom of the barrel‘. About its own technological solutions in this field Pörner Group will read a paper at the IRPC Europe. Vincent Frate, Senior Process Engineer at Pörner Group, will be speaker at the Argus Africa Roads with the titel "Quality Bitumen for Africa"
Pörner Group together with EDL will have a booth within the Austrian pavilion. Company brochure of EDL Anlagenbau Gesellschaft in Leipzig / Germany. 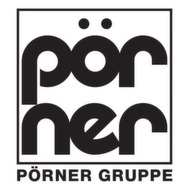 A company of the Pörner Group. Pörner Group is the world leader in bitumen technology with 50 licensed Biturox bitumen plants. Pörner Group is the inventor of the innovative Bitumen Packing System for transport of bitumen in cold condition. For more than 20 years Pörner Grimma has been liaising with renowned European licensors and experienced partners to build plants for the formaldehyde product family as an EPCM contractor. Read in the Pörner newspaper how the concept „Anlagenbau 4.0“ is implemented in all fractals of the planning and how the Pörner Group almost simultaneously finalized seven large-scale projects for OMV in Schwechat / Austria and for the PCK Refinery in Schwedt / Germany. Managing Director Peter Schlossnikel was appointed into the Engineering Summit 2017 advisory board. Saxon State Minister for Economic Affairs, Martin Dulig, visited Russia in the period from 17 to 21 October 2016. He was accompanied by a 41-member delegation of representatives from Saxony's politics and business, among..
President of the Republic of Azerbaijan Ilham Aliyev and Andreas Pörner, CEO of Pörner Group, have attended on 19 September the ground breaking ceremony of a new Biturox® plant as part of reconstruction of the Heydar Aliyev Baku Oil Refinery. The ability of EDL Anlagenbau Gesellschaft mbH (EDL), from Leipzig, Germany, as a revamp specialist for process plants was most recently demonstrated, at the TÜV shutdown at PCK Raffinerie GmbH Schwedt. PCK invested EUR 129m to modernize its FCC and crude oil distillation. On 2 August 2016, Elman Ismayilov, Director of Heydar Aliyev Refinery, and Andreas Pörner, Pörner Managing Director, signed an EPCM contract for a Biturox® plant in Baku / Azerbaijan. In April 2016, at OMV in Schwechat (Austria), the TAR 2016 took place. Pörner Ingenieurgesellschaft Vienna, and its subsidiary EDL Anlagenbau Gesellschaft Leipzig, mechanically completed and handed over three revamp projects to OMV concurrently, during this stop.